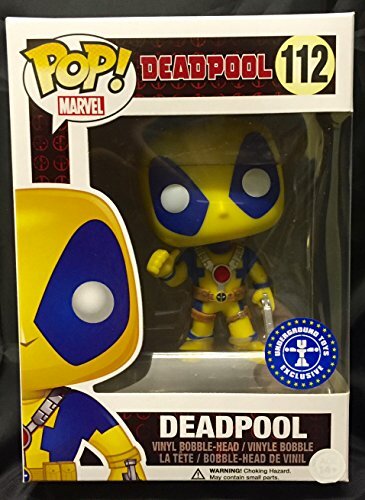 POP Marvel: Deadpool - Yellow Blue Exclusive from Funko. Figure stands 3 3/4 inches and comes in a window display box. 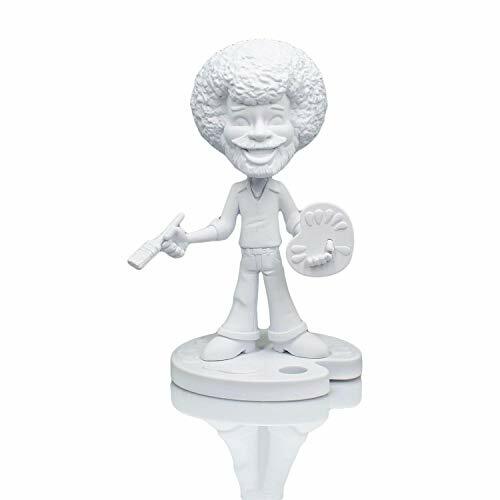 Check out the other POP figures from Funko. Collect them all. 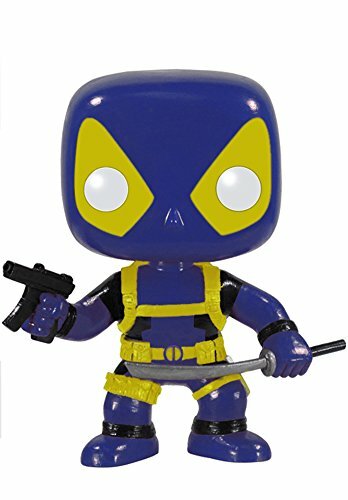 The Merc with a Mouth makes his triumphant return to vinyl, plush, and beyond!Pop! Marvel: Deadpool. 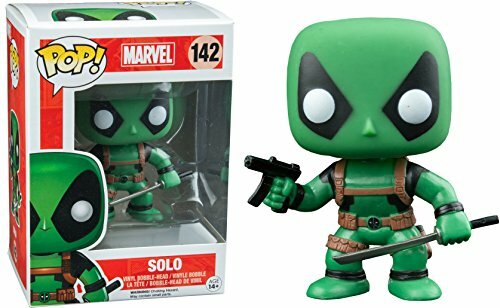 Funko POP Marvel Solo Deadpool variant in Green named Solo. This is a limited edition. 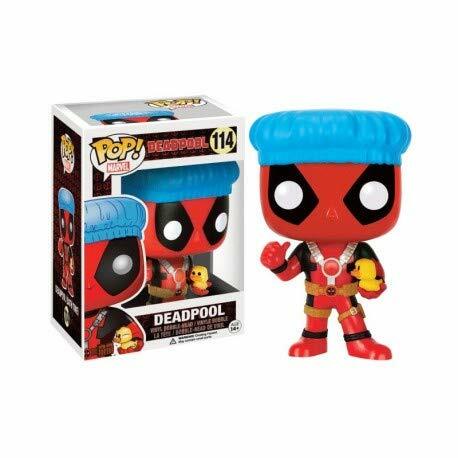 Deadpool, the Merc with a Mouth, expands Funko's best-selling POP! Vinyl Figures line with two variant figures! 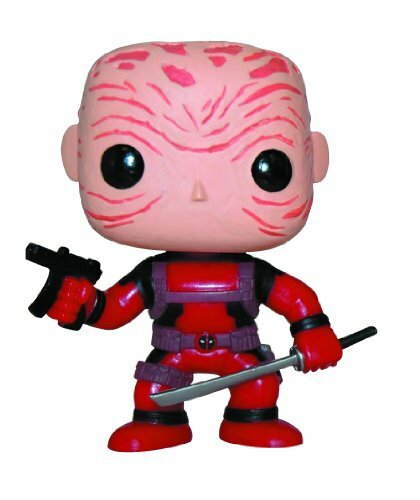 Instead of his familiar two-tone mask, these figures feature an unmasked Wade Wilson, revealed the scarred face beneath the mask! 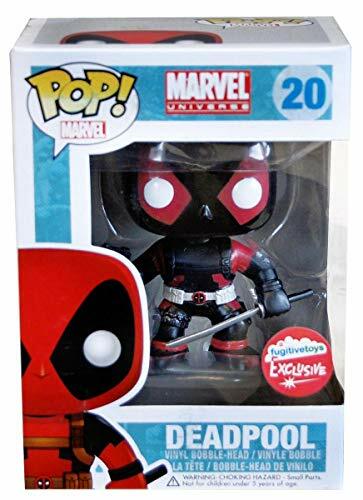 Available in his familiar red costume or his gray X-Force costume, the maskless Deadpool figure stands 3 3/4" tall and features the urban vinyl stylings that have made these figures fan favorites! Window box packaging. 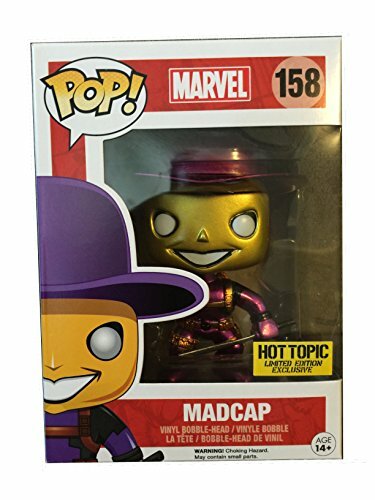 Pop Marvel! New Deadpool #29 Vinyl Bobble-Head! 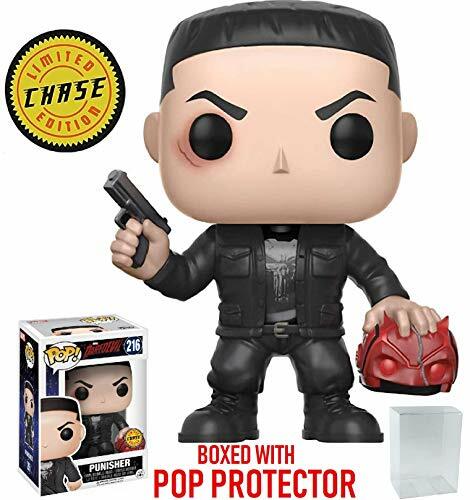 PX Exclusive Variant Figure!